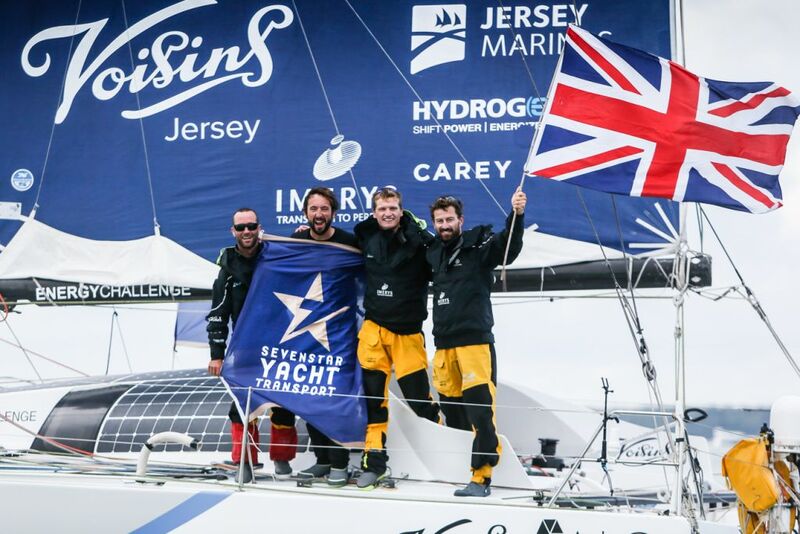 Phil Sharp's Class40 Imerys Clean Energy has taken line honours in the 2018 Sevenstar Round Britain and Ireland Race in an elapsed time of 8 days 4 hours 14 minutes 49 seconds, winning the Class40 Division and setting a new world record in the race for yachts 40ft or under (subject to ratification). The team smashed the previous record by 15 hours. 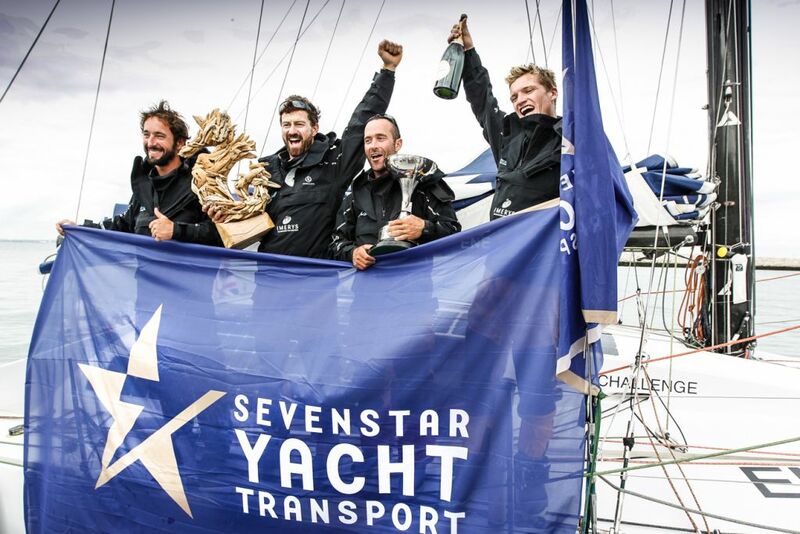 The victorious Imerys Clean Energy crew: Phil Sharp, Julien Pulvé, Pablo Santurdé and Sam Matson were met on the dock by friends, family and fans of the race. 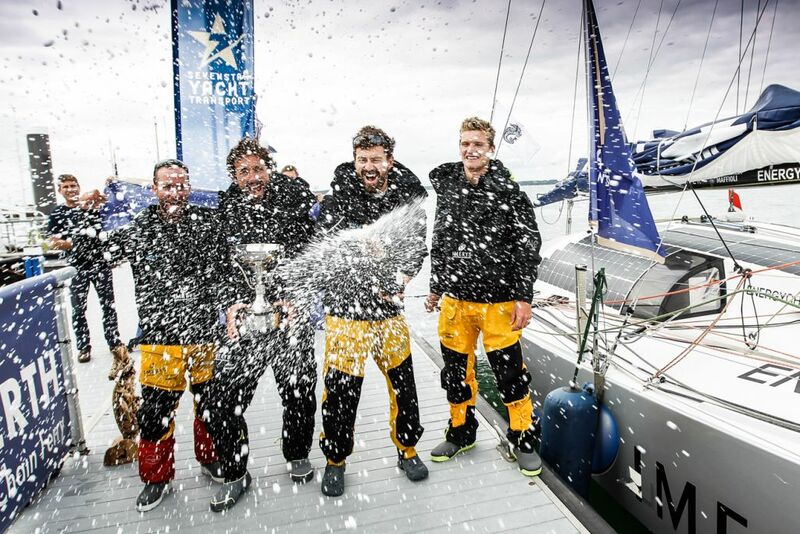 “It hasn't really sunk in yet, but it is just fantastic to take line honours, the win in the Class40s, and break the world record!” exclaimed an elated Phil Sharp. “During the race we saw real extremes of challenging weather conditions, from heavy downwind, to light upwind sailing, and although in our class we had other competitive boats that pushed us, it turned out to be very much a race of attrition. Many thanks to the Royal Ocean Racing Club for organising a fantastic race,” concluded Sharp. Tony Lawson's Class40 Concise 8, skippered by Jack Trigger was 39 miles behind as Imerys Clean Energy crossed the finish line. 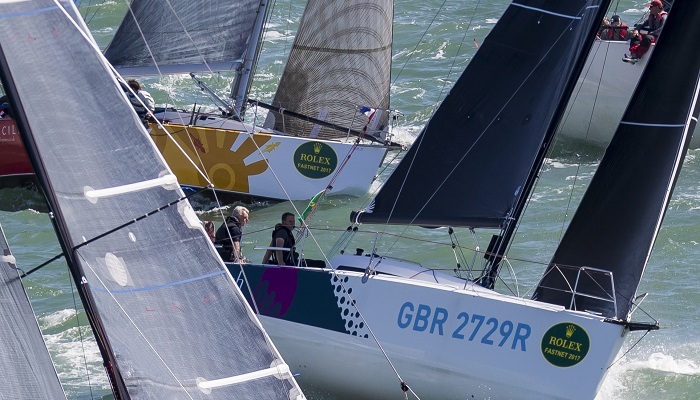 Concise 8 are expected to finish the Sevenstar Round Britain and Ireland Race tonight, at approximately 21:00 BST Monday 20 August.